The Associated Student Government and Parking & Transit have set the 2018-19 operating hours for Safe Ride. Monday & Tuesday — On Campus Only — 10:30 p.m. to 1 a.m.
Wednesday through Saturday — Citywide Service — 11 p.m. to 3 a.m. Safe Ride can be used for any uncomfortable or inconvenient situation such as an uncomfortable date, keys locked in car, stranded at an undesirable location, car trouble, fatigue, a sober ride home, studying too late on campus to take the bus, or a number of other situations. Safe Ride is a great alternative when other options have fallen through that evening. How does Safe Ride work? Call 479-575-7233 (SAFE). Did you know the Safe Ride number is on the back of your student ID? Take a look! Give the dispatcher your UARK student ID number. Verify your local address. If this is not updated, you can update your local address one time per semester through Safe Ride. However, you can update your local address any time through UAConnect. If you have guests, let the dispatcher know how many. Let Safe Ride know where to pick you up. You are allowed up to three guests with you on your ride. Guests will be taken to your residence. Guests can be fellow University of Arkansas students or non-students. If someone in your group is a University of Arkansas student and wishes to go back to their own residence, you can pass the phone over and have them verify their information with the dispatcher. No need to call multiple times! If you have special needs and require a wheelchair accessible vehicle, please notify the dispatcher. Safe Ride does have an ADA accessible van in its fleet. 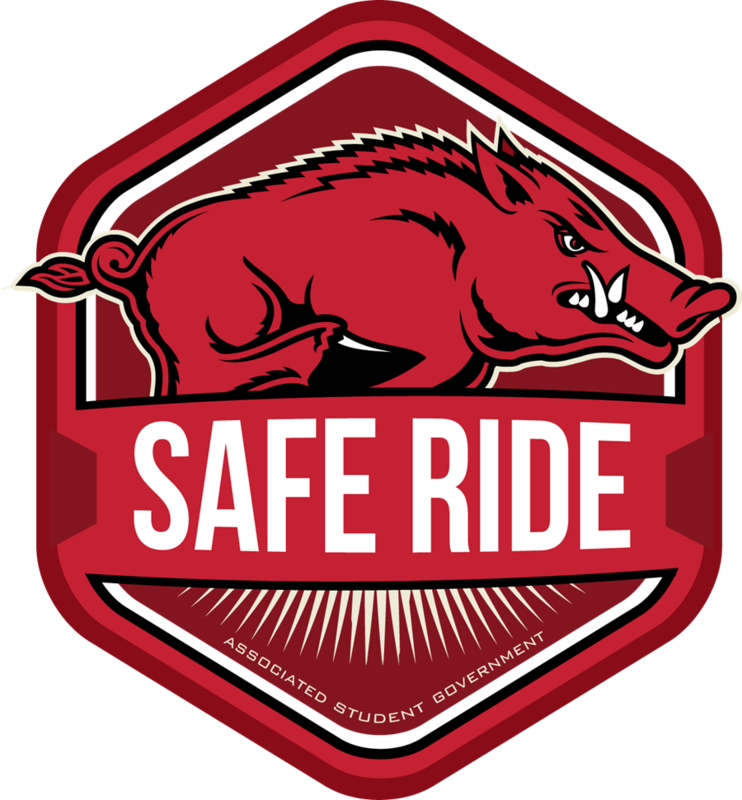 For more information about Safe Ride visit asg.uark.edu/safe-ride. This program is sponsored by the Associated Student Government through the Office of Student Activities and is supported by the Student Activities Fee. For questions or for accommodations due to disability please contact the Office of Student Activities, osa@uark.edu, or call 479-575-5255. The Associated Student Government is a program in the Division of Student Affairs. About the Division of Student Affairs: The Division of Student Affairs supports students in pursuing knowledge, earning a degree, finding meaningful careers, exploring diversity, and connecting with the global community. We provide students housing, dining, health care resources, and create innovative programs that educate and inspire. We enhance the University of Arkansas experience and help students succeed, one student at a time.